Friday, July 29: Wrapping up our look back 50 years, here’s the 1966 playlist that got us dancing. Included were a select sample of June hits. Kudos to Michael Polacheck, Larry Vaughn, and Louise Richardson, who racked up the most points in our Name It and Win It contest. Fri–Sat, June 22–23: Long live the longest party! To commemorate the year’s shortest nights, we threw the lengthiest celebration. Our 60s Marathon covered the entire decade of hit music—everything from pop, folk, instrumental, soul, garage, country crossover, novelty, and straight-ahead rock ’n’ roll. The Green Man itself was rearranged to form an intimate dance floor for the first episode the first evening. We then migrated across the street to the Kent Kompound’s spacious deck for more twirling, sliding, boogaloo, shing-a-ling, pony, monkey, and Watusi movin’ grooves. Friday began with singles played in reverse chronological order, then 1960 through ‘62. 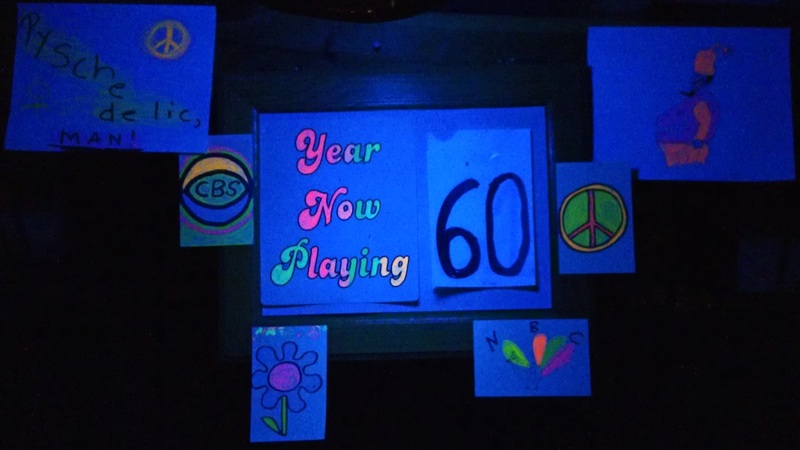 Saturday’s installment covered songs from 1963 through the end in ‘69. 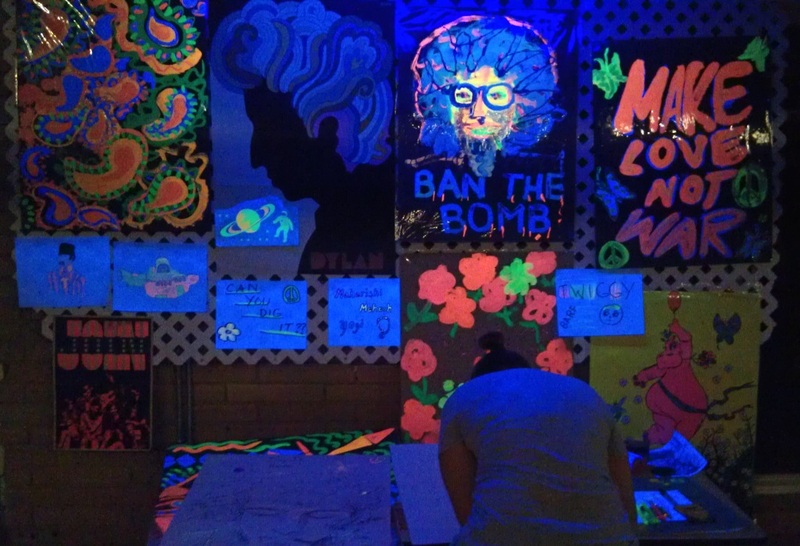 During the event, participants feasted on smoked brisket, sausage, and snacks while guzzling beer, wine, and fizzy water and scrawling graffiti beneath the iconic black lights. Throughout the ordeal, we played “name it and win it” for each number: celebrants had until the end of the tune to name the artist and title plus a relevant factoid. As an obscure example, who’s this? 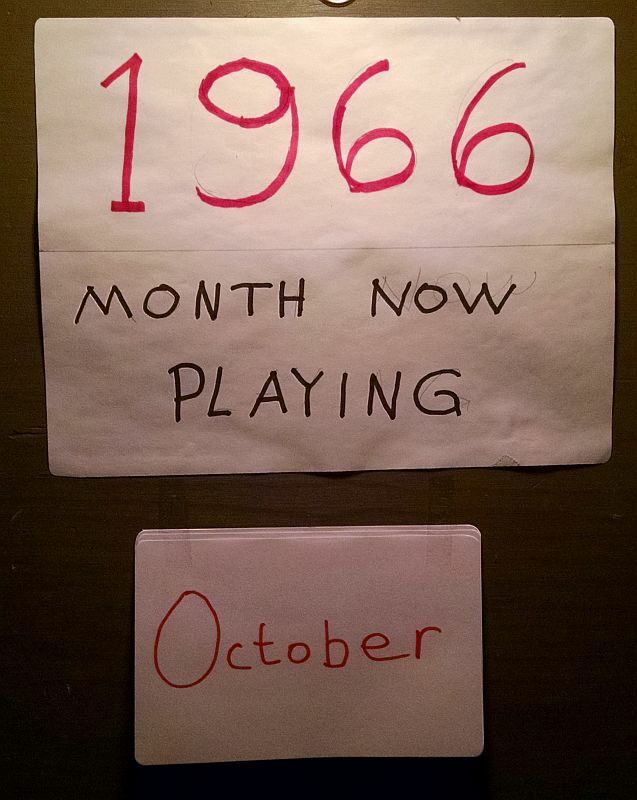 For those born after 1970, the bash doubled as a symposium on the evolution of the genre. Thanks are in order to the Kents (Carol, Liz, Zach, Genevieve, and Jay), who opened their private park facility and to all others—human and canine—who made the scene, contributing food, beverage, artistic talent, and (loco)motion.